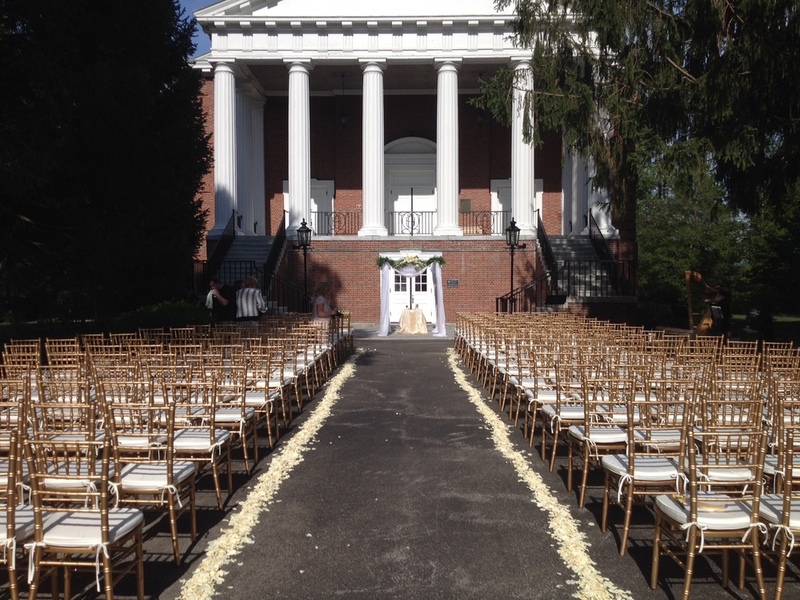 Since 2010 we’ve set the standard for Chiavari chair rentals. Now offering cross back chairs and vintage furniture. Customer satisfaction is our #1 priority. Let us be a part of your next event. Q: Why should I choose Fifty Chairs? A: We have the best quality Chiavari chairs at the best rate. Since we’re family owned and operated, we take pride in every aspect of the business, from pricing and delivery to customer satisfaction. We will ensure our chairs and cushions are in the best condition for your event and will pay careful attention to each detail. 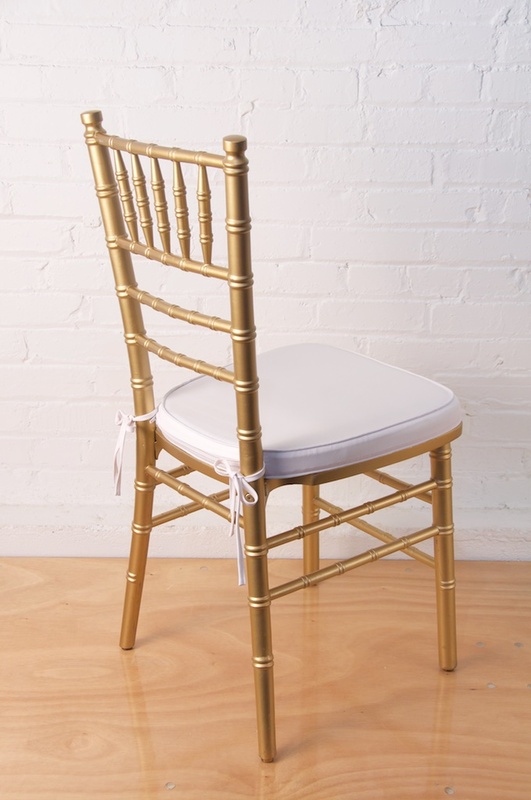 Q: What color Chiavari chairs do you have? A: Please refer to the ‘Options & Pricing’ section of our site for information regarding chair colors and cushion types. Q: Do I need a reservation, and when should I make it? A: Yes, reservations are required to reserve a date. We recommend making a reservation as soon as possible since dates go quickly, especially during peak months. A 50% deposit of the total cost is required to make a reservation. Chairs will not be "reserved" until a deposit and signed contract are received. Q: What if my chair count changes as my event nears? A: If the number of chairs you need increases or decreases, let us know and we will adjust your remaining balance accordingly. You only pay for the chairs you need. Your remaining balance will be based on your final head count which is required 7 days before your event. Q: How many chairs do you have? A: Our inventory is continually expanding. Please call or email us with your specific needs. A: We accept Cash, Credit / Debit Cards or Check. 50% is due upon reservation and the remaining balance 7 days prior to your event. Q: Can we pick the chairs up ourselves? A: We do not allow customers to pick up the chairs themselves. The only way to ensure that the quality of our chairs stays the best is if we handle the delivery and setup ourselves. Q: Will you setup the chairs? 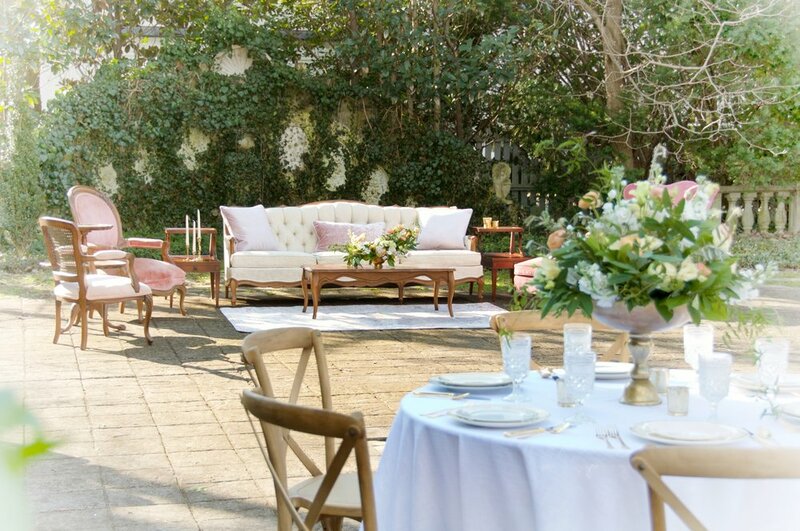 A: Yes, we setup the chairs according to your layout and make sure everything is perfect for your event. A deposit of 50% the total cost (chair rental + delivery) is required to reserve your date. The remaining balance is due 7 days before delivery date. Delivery and pick-up is a flat rate of $100 within 30 miles of downtown Louisville. If your event is outside this 30 mile radius, please call for a quote. This fee includes setup and take down.  Cancellations made 14 or more days before the reservation date will receive a refund of 50% of the paid deposit.  Cancellations made one week or less of the reservation date will be subject to no refund. Rental fees are per event. Responsibility for the rented items remains with the client from the time of possession to the time of return. Client assumes all responsibility for injuries to persons or damage to chairs and agrees to hold harmless Fifty Chairs for any and all claims of whatsoever nature arising out of the rental of the chairs while in the client’s possession. Additional fees are charged for damaged or lost chairs ($50 per chair & $10 per cushion). 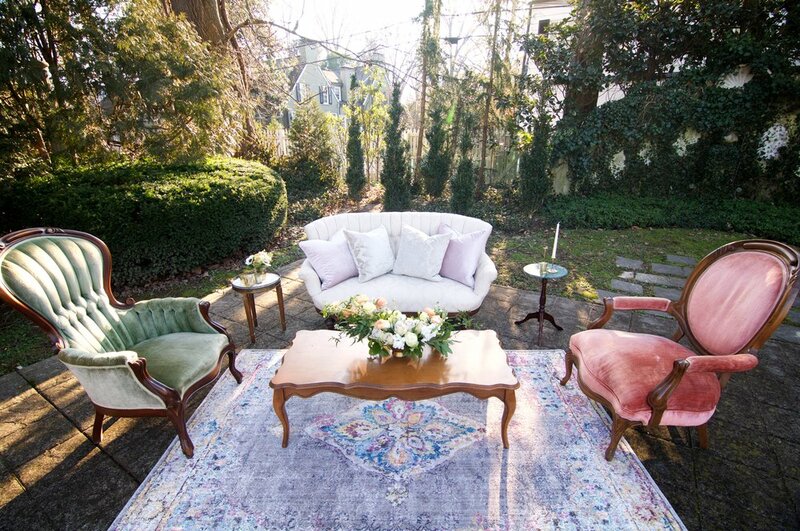 "I was in a two-day time crunch thanks to a misunderstanding with another rental company and was resigned to the fact that no one could rent out the chairs I wanted for my wedding reception on such short notice...after giving Fifty Chairs one phone call, it was smooth sailing. Professional and friendly, they quickly got back to me and were able to meet my order request (which included tricky late-night pick up requirements on a Sunday night!) for a price well below that offered by competitors. When the chairs arrived, they were beautiful and added so much to my wedding reception, while the set-up crew was fast and friendly. I can't recommend them highly enough for anyone planning a wedding in the Portland area." 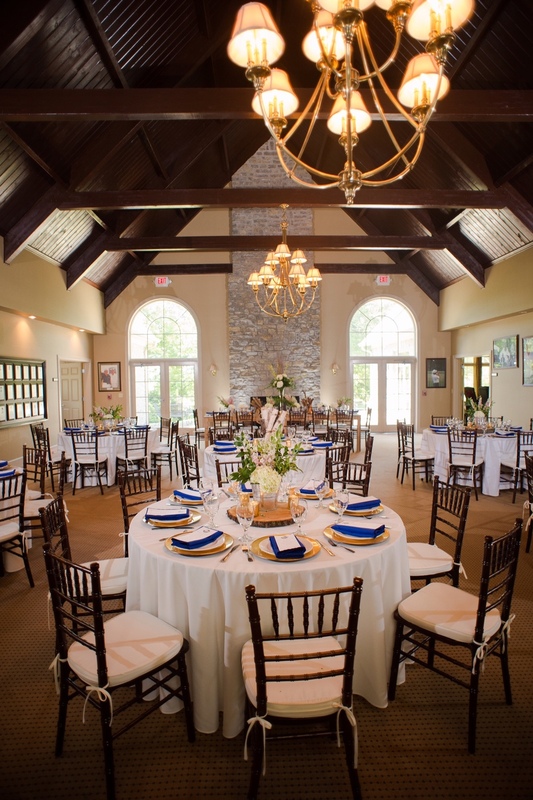 "The chairs were beautiful and very comfortable! They were delivered, set up and then picked up exactly when they said they would be. What a great company to work with." "I MOST HIGHLY recommend Fifty Chairs! The chairs and cushions were absolutely beautiful and the level of service was extraordinary. So many companies we have worked with in the past have just thrown the chairs on the loading dock for our staff to take care of. Fifty Chairs brought the chairs to the room, setup and stayed even longer after that to make sure I was able to come to the room to check on everything. Their staff was so friendly and efficient that it made my job so much easier...and we looked like ALLSTARS because the room was perfect! Our set-up director even commented on the fact that he hopes they are the only company we work with in the future for Chiavari chairs." "Thanks for helping to make my daughter's wedding reception a great success! The chairs looked awesome at Gingerwoods and I am so glad we decided to work with you all. We had glorious weather (for an August day in Louisville) and a good time was had by all, especially the bride and groom. I would definitely recommend you---and the silver Chiavari chairs---for any special event! Thank you again." "A huge thank you for letting me borrow the gold chairs for my daughter's First Communion. I really appreciate all you did. They looked perfect in my house. You always do a great job and the chairs are in PERFECT condition. I'll be using them again on all my weddings. Thank you!" "I cannot begin to say enough about the folks at Fifty Chairs. They are AWESOME. The chairs are perfect, seat cushions are beautiful and most of all they so delightful to work with. They spent two hours this past weekend making sure the chairs were lined up perfectly. They have my highest recommendation!" "I just wanted to personally thank you for your support at the Pink Tie Ball. We were so happy to have Fifty Chairs as part of the event and we look forward to working with you in the future. Thanks for working within our budget and all you did." "Wow! The silver chairs in the ballroom made the setting for Wrapped in Red simply stunning! Thank you for providing a discount to make the beautiful vision a reality. We appreciate your generosity!" "Thank you for doing such a beautiful job for my niece & nephew - Jennifer & Aaron. The chairs were beautiful." 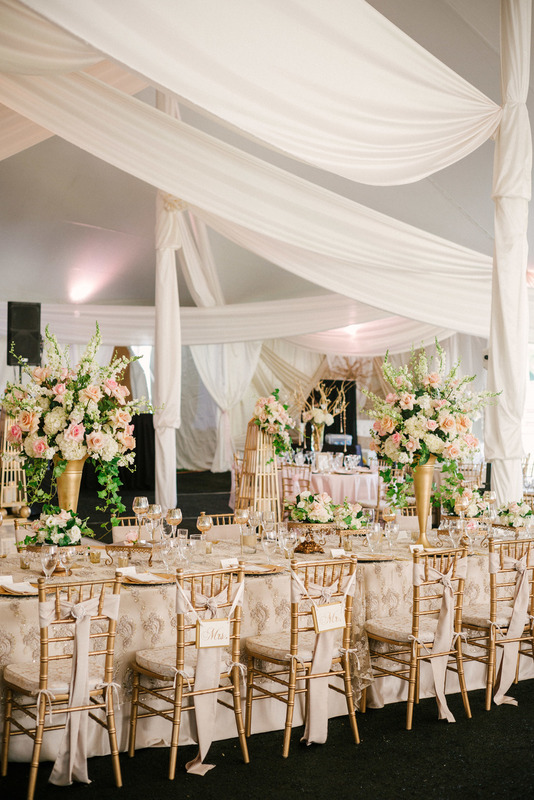 Chiavari chairs are named for the Italian city where they originated. This little town, located between Genoa and the Cinque Terre, began producing these chairs at the beginning of the 19th century. It was here in 1795 that the Descalzi brothers opened their famous furniture workshop. 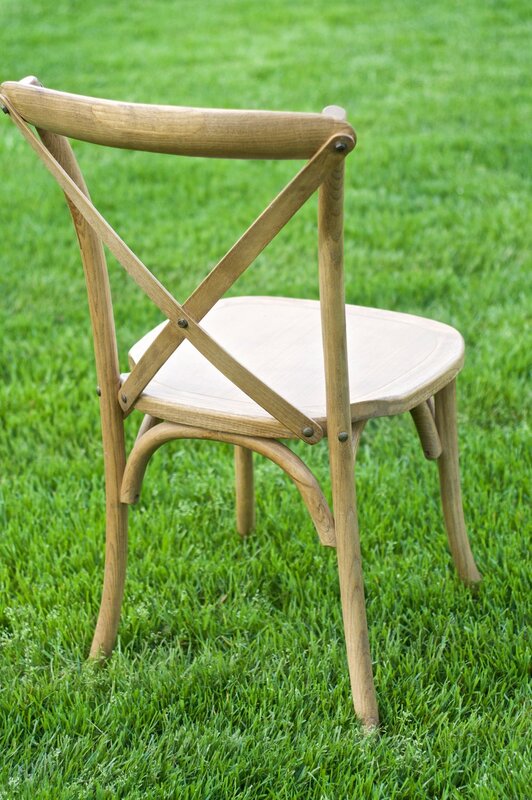 In 1807, Gaetano Descalzi designed a light, elegant, yet solid, cherrywood chair – the chair Chiavarine. The chair jumped from the dining room to the ballroom – and has become the classic wedding chair. From White House events to weddings all over the country, this chair is the workhorse of event chairs. The Chiavari has inspired its share of designers and several versions now exist.